Spengler and Sayles, Volume II, original 1992 edition, new, Hardback, 6x9, 188 pp. with dust jacket. Illustrated, with charts, tables, glossary, type guide, transliterations, etc. 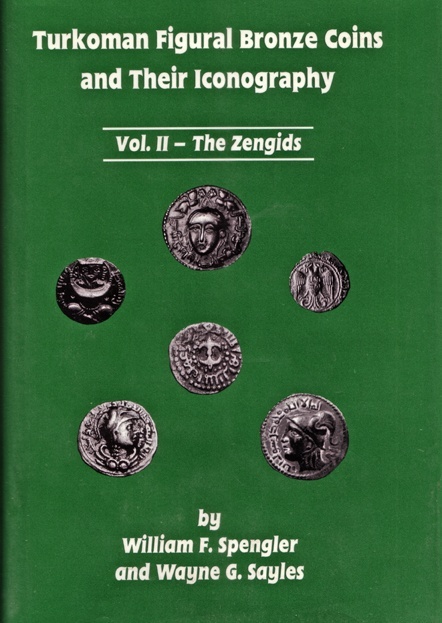 A comprehensive guide to the figural bronze coinage of the Zengid dynasty of the Jazira. The standard reference to this series.